The campaign to drive Islamic State (IS) out of Syria stands weakened as thousands of Kurdish fighters have been drawn away to defend Afrin after Turkey sent troops across the border. In their absence, hundreds of foreign IS fighters escaped. Far from Donald Trump’s promise to fix relations between Turks and Kurds, Washington now faces greater disarray across Iraq, Turkey and Syria. Away from Syria, a US success story in Iraq may be in the process of coming unstuck. 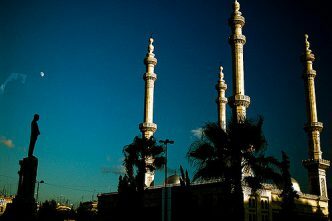 Under the Kurdish Regional Government (KRG), the small pocket of Iraqi Kurdistan had been described as a ‘haven of religious tolerance and relative safety’ and a ‘sanctuary’ for refugees. Even Turkey has normalised its relations with the KRG, and is now its top external trading partner. 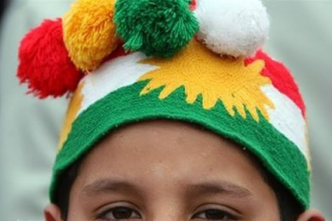 Yet, as the region crumbles, Kurdish unity in Iraq appears to be unravelling as well. After the disastrous referendum for Kurdish independence in Iraq last September, Baghdad recaptured Kirkuk in October and increased its military presence on Iraq’s Turkish and Iranian borders. Large population centres within Iraqi Kurdistan suffered during this reassertion of federal control. But it isn’t armed intervention that has undone Kurdish unity. It’s oil that’s the slippery issue. Petroleum from Kirkuk’s rich oil fields dominates Iraqi Kurdistan’s economy. Losing Kirkuk meant losing control of the fields, and the revenue they provided. When Kurdish forces moved into Kirkuk in June 2014, the KRG all but stopped developing its own fields. Now KRG has nothing to fall back on. The signs are everywhere. 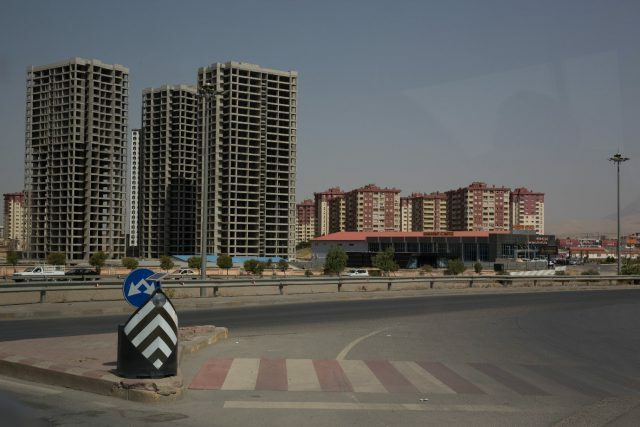 Kurdoil outlets on the peripheries of Kirkuk and Erbil are dwarfed by half-finished skyscrapers, remnants of failed attempts to diversify the economy and then abandoned when the money ran out. Abandoned too were the allowances paid to the population in a region of very high unemployment. A large section of then-President Masoud Barzani’s voter base disappeared as a result. His leadership severely undermined, he stepped down on 1 November last year. Meanwhile, Iran welcomed Baghdad’s announcement last December that it would truck Kirkuk oil across the border into Kermanshah. Up to 60,000 barrels per day will be exported. That’s nearly half of the KRG’s previous output. Iran had been a staple ally of Iraqi Kurds, extending assistance after Saddam Hussein launched chemical attacks in Halabja in 1988, and again in 1991 after the Gulf War. But Tehran’s logistical support for Baghdad during the recapture of Kirkuk and its willingness to import Kirkuk oil has left Barzani feeling betrayed. Baghdad’s oil exports through Sulaymaniyah also undercut Barzani and his party, the Kurdish Democratic Party, in another way. Sulaymaniyah, in eastern Iraqi Kurdistan, is the heartland of the Gorran Movement, the largest Iraqi Kurd opposition party. It staunchly opposed the independence referendum. Bolstering Sulaymaniyah’s oil economy spreads patronage to a different voter base, one that is much friendlier to Baghdad. But most devastating is the effect that Kirkuk’s loss will have on Kurdish relations with Turkey. As the Kirkuk–Ceyhan pipeline runs dry, Turkey is likely to distance itself from the KRG. Turkey wants foremost to maintain the territorial integrity of Iraq. Relative to that aim, its formerly close relations with the KRG seem to be, at best, a fragile contractual agreement. 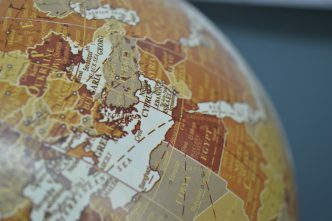 As the oil partnership dwindles, future relations between Ankara and the KRG will be dominated by Turkey’s dispute with what it calls the terrorist Kurdistan Workers’ Party (PKK). Key PKK bases are located in the Qandil Mountains in eastern Iraqi Kurdistan. 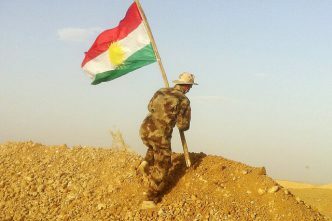 The mountains sit in a zone controlled by another Kurdish party, the Patriotic Union of Kurdistan. To keep Ankara close, Barzani’s party will have to let Turkey pursue its burgeoning military and intelligence presence in the region despite the misgivings of an already-distrustful Iraqi Kurd population. This move will only deepen rifts among Kurdish factions. As Iraqi Kurdistan falters, Washington may come to rue its handling of its relationships with the Kurds, Ankara and Baghdad. Iraq’s elections are fast approaching. Without a united Kurdish list in Baghdad’s election—one that can collectively support a pro-Western presidential candidate—Washington may find itself dealing with a government in Baghdad that’s either too weak or too malevolent to help realise US security objectives. Aspirations for Kurdish statehood will continue to disrupt and divide Iraq. Kurdish military commanders have already become too powerful for Baghdad to contain. An even stronger Iraqi Kurdistan that threatens more sectarian violence won’t be welcome. Nor does the US want to become entangled in a conflict that’s less about defeating IS and more about navigating Kurdish rivalries. Losing Kurdish forces in Syria was bad. But a crumbling Iraqi Kurdistan bodes even worse for US objectives in the region. Amelia Meurant-Tompkinson is a research intern at ASPI. Image courtesy of Valentin Enzo.